Are you not a morning person? Do you feel like sometimes you rather sleep until the last minute than waking up early to make breakfast? You have heard the saying that breakfast is the most important meal of the day, but sometimes it just seems like a hassle to go that extra length early in the morning. Luckily, here are some recipes for healthy smoothies that can easily be made in a few minutes. With just the push of a button on your blender, there you have a cup of healthy deliciousness ready to fuel your day. It is that simple, all you need is a blender and some fruits that you like, and you will be ready to pump out some healthy breakfast in no time. 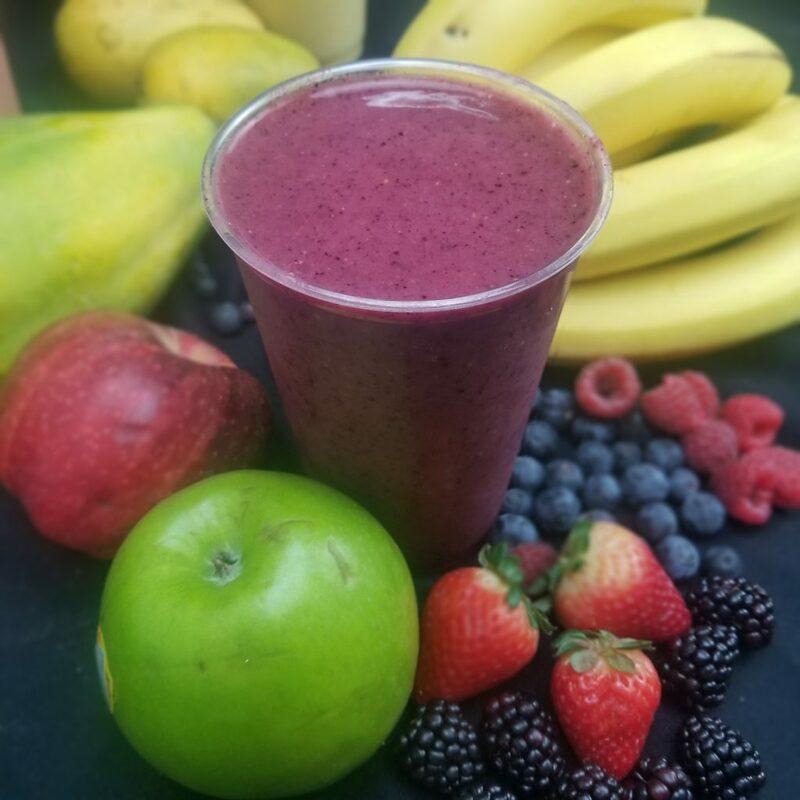 This delicious smoothie includes a good amount of berries, which is a great source for fiber and vitamins C and E.This smoothie has the perfect amount of thickness from the banana, and just the right amount of bitterness from the berries. If you are a berry person this is definitely your kind of drink. This one is for all of the pineapple lovers out there. The sweetness of apple complements the sweetness of the pineapple really well, and the unique aroma of pineapple puts you on a tropical island. The banana gives the perfect thickness that you would expect from the perfect morning smoothie. 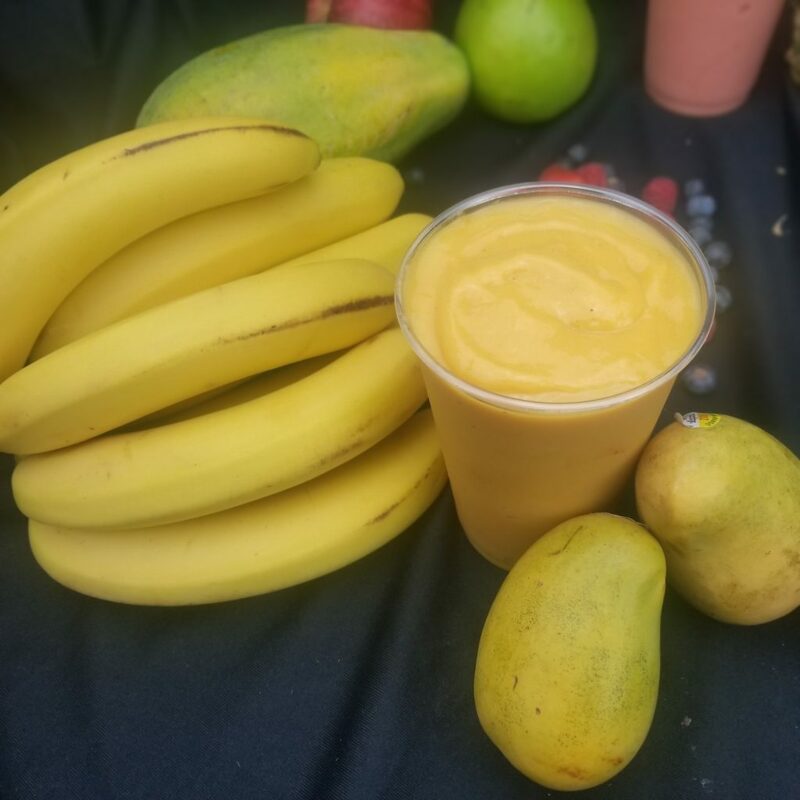 Did you know that antioxidants in the mango fruit has been found to protect against colon, breast leukemia and prostate cancers? Not only are the health qualities there, the overflowing natural sweetness of this drink will make sure you start your day off the right way. If you are a fan of strawberries, this recipe will make sure you have the best of mornings from now on. The health benefits of strawberries include reducing the risk of heart diseases and also helps reduce blood pressure, and also there is a good amount of fiber in strawberries. The ingredients are all simple and healthy choices you can get from your local grocery store. 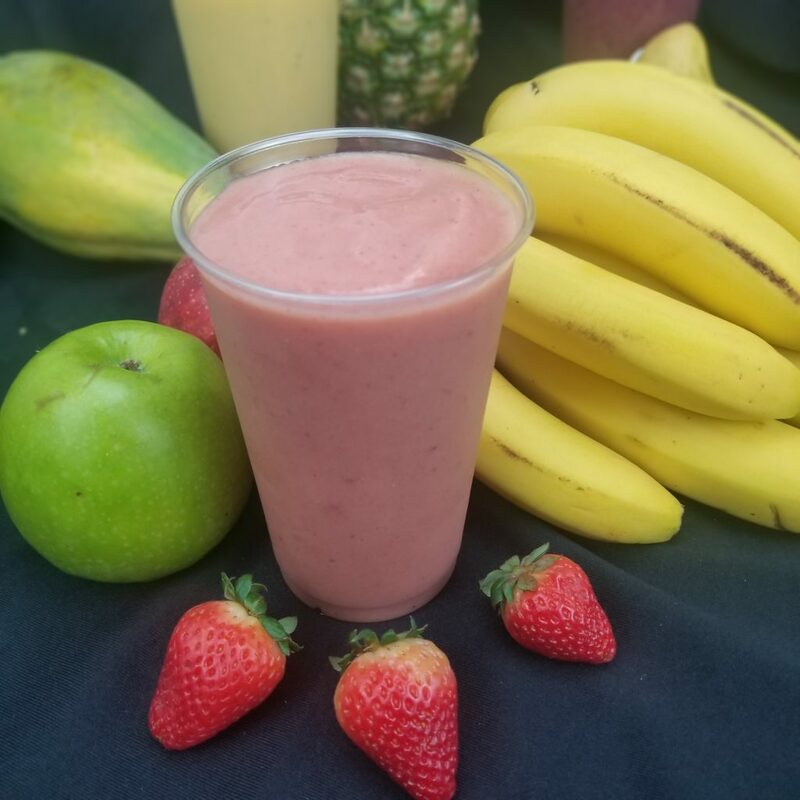 So now that you know a couple of recipes for these healthy smoothies, I really encourage you to get creative and come up with your own smoothie. Toss in your favorite fruits, maybe even some yogurt and granola, and blend your favorite flavors together into a cup of delicious and healthy ingredients. So next time when your alarm sounds and you are debating getting up and making breakfast or snooze for another 30 minutes, you’ll know what to do with the fresh fruits and yogurt in your fridge. Also, if you live in Malibu, come to PC Greens to check out our wide selection of fresh fruits and produce. 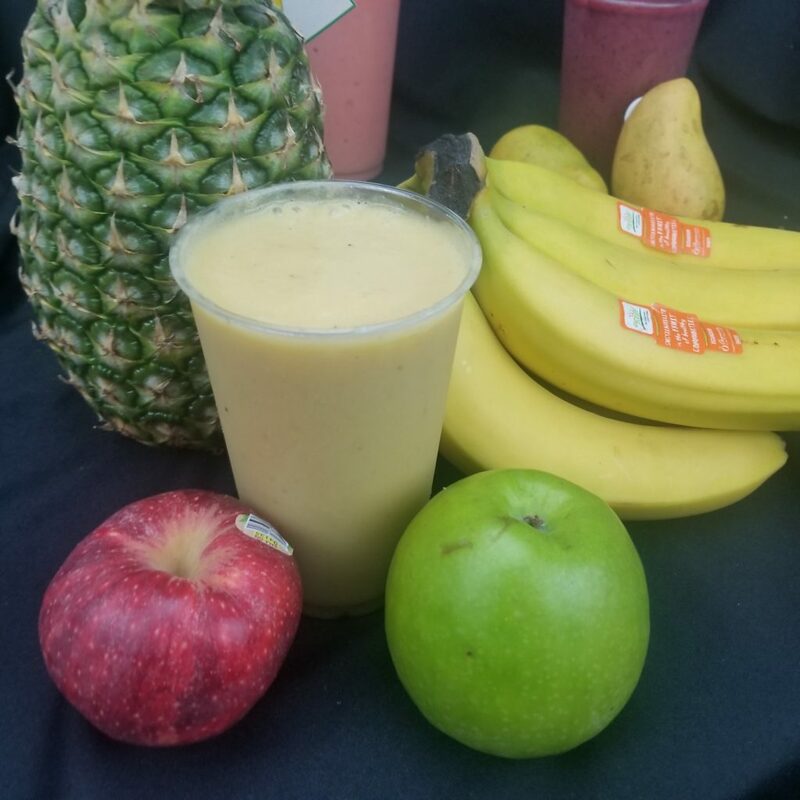 The smoothies above are available at our juice bar, along with a dozen other healthy flavors for you to choose from!